If it's hard for you to get pregnant or you get miscarriages, it's possible that something called a luteal phase defect is playing a role. It's a condition that disrupts your menstrual cycle, though there's debate about whether it's a direct cause of infertility and there is no way to really test to see if it is. See your doctor so he can figure out what's going on and talk with you about your treatment options. The luteal phase is one stage of your menstrual cycle. It occurs after ovulation (when your ovaries release an egg) and before your period starts. During this time, the lining of your uterus normally gets thicker to prepare for a possible pregnancy. If you have a luteal phase defect, that lining doesn't grow properly each month. This can make it difficult to become or remain pregnant. The luteal phase is usually about 12 to14 days long. During this time, your ovaries make a hormone called progesterone. It tells the lining of your uterus to grow. When you get pregnant, your developing baby attaches to this thickened lining. If you don't get pregnant, the lining eventually sheds, and you have a period. A luteal phase defect can happen to you if your ovaries don't release enough progesterone, or if the lining of your uterus doesn't respond to the hormone. Many times, if you treat those conditions, you can correct your luteal phase defect. A pelvic ultrasound may also help your doctor measure the thickness of the lining of your uterus. In the past, your doctor may recommended a series of endometrial biopsies. He removes a small sample of the lining at a specific time of the month and examines it under a microscope to see if you were "in phase" or not. This is no longer done. Keep in mind that every woman can have luteal phase changes from time to time. The National Institutes of Health says that an endometrial biopsy can't tell the difference between fertile and infertile women, so it doesn't recommend it as a routine infertility test. What you do for this condition depends on your overall health and whether or not you're trying to get pregnant. You'll need treatment, of course, if you have any health problems that can lead to luteal phase defect. Clomiphene citrate (Clomid). 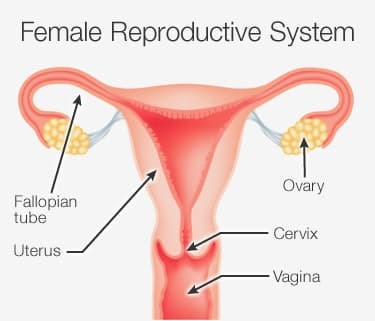 It triggers your ovaries to make more follicles, which release eggs. Human chorionic gonadotropin (hCG). It may help start ovulation and make more progesterone. Progesterone injections, pills, or suppositories. They may be used after ovulation to help the lining of your uterus grow. Talk to your doctor about all your treatment options. Studies have not proved that treating luteal phase defect improves the chances of a successful pregnancy in women who don't use assisted reproduction techniques. Progesterone can help some women who get fertility treatments. But there's no proof that taking it after you get pregnant will prevent a miscarriage. Resolve: The National Infertility Association: "About Luteal Phase Defects," "Luteal Phase Defect." Robbins and Cotran Pathologic Basis of Disease, 8th edition, Saunders Elsevier, 2009. Obstetrics: Normal and Problem Pregnancies, 6th edition, Saunders Elsevier, 2012. Coutifaris, C. Fertility and Sterility. Nov. 1, 2004. Ginsburg, K.A. Endocrinology and Metabolism Clinics of North America, 1992. Fertility and Sterility, November 2012. Glock, J.L. Fertility and Sterility, September 1995.